Limited ediition of 1’500 numerated examples. These two books represent the most complete reference work ever done on PANERAI. 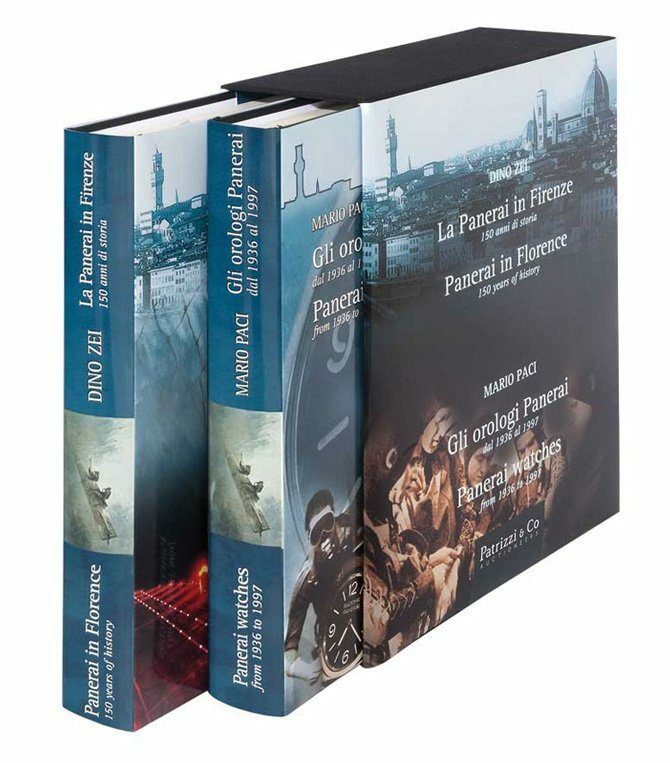 Mario Paci, collector and true lover of Panerai, wrote the first volume and makes in this book a distinction between VINTAGE WATCHES (from 1936 to 1990) and PRE-V WATCHES (from 1993 to 1997) and describes the main models of both periods. 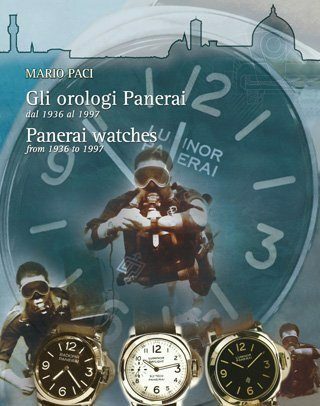 Serial numbers of the watches are listed and one chapter is entirely dedicated to the prestigious CLUB PANERAI. He has gathered and told a collection of news, including much hitherto unknown information, of valuable data of interesting notes and considerations and of intriguing episodes. This book tells the 150-year story of Panerai. A story of hard-working, courageous, often ingenious men who set up a company and then gradually developed and enriched it with technologies and traditions. 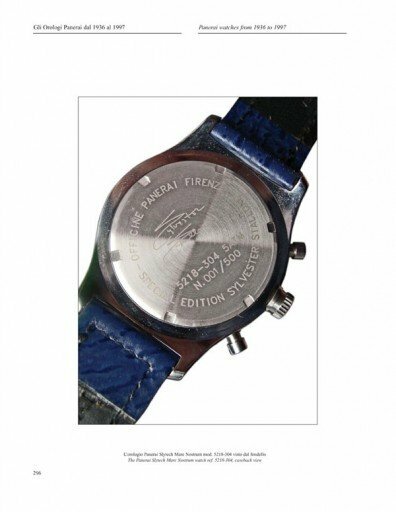 These 780 pages allow the collector to have a complete and deep vision of the production of this prestigious and historical brand which represents nowadays an icon not only in the watches field but in the fashion industry as well. 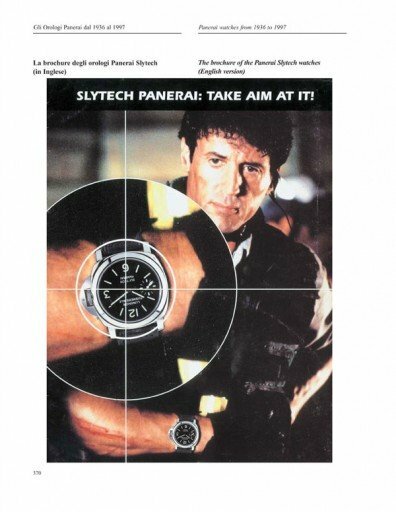 Many actors and celebrities in fact appeared with a Panerai watch at their wrist (i.e. Silvester Stallone, Demi Moore, Bruce Willis, Sharon Stone, Carol Alt, Arnold Schwarzenegger, Gabriel Batistuta, Alessandro Costacurta and Alberto Tomba).